Grapes are, as we all surely know, pretty incredible little fruits. Ever since we were kids, we’ve all enjoyed their delicious flavour, their ripe juiciness, and the fun of pulling them away from their bunch and popping them in our mouths. Whether eaten fresh, dried as raisins and sultanas, or juiced and fermented into wine, their versatility and the sheer range of different flavour profiles they impart is truly awe-inspiring. However, haven’t you ever wondered why - when eaten fresh - all grapes taste pretty much the same? Sure, there are some differences between the tart white and green grapes we eat, and the red, purple, and black ones… but difference isn’t exactly powerfully obvious. To be honest, if you blindfolded us and fed us grapes right now (sounds like a perfect afternoon to me! ), we’d probably struggle to tell one type of grape apart from the other. 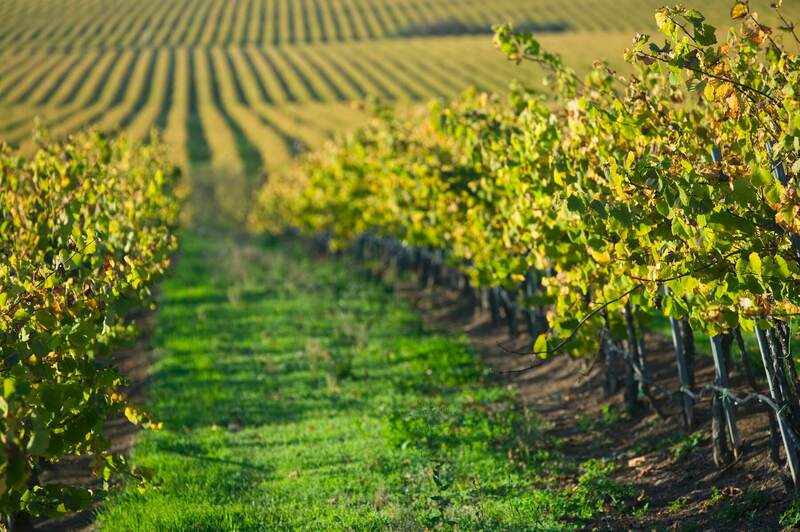 So why, then, do wines made from the very same grapes have such radical differences when it comes to flavour, aroma, colour, texture, and body? A big chunk of the answer to this question comes from one specific part of the grapes used in winemaking: the skin. The skin of the grape plays a massively important role in determining all kinds of aspects of a wine. Indeed, if you’re looking to understanding why your wine tastes and feels the way it does, understanding the characteristics brought about by grape skins is a good place to start. Let’s take a closer look at the skin of the grape, and peel back the layers to uncover the amazing ways it makes our wines the way they are. The most obvious way in which grape skins affect the nature of our wines is in their colouration. Without contact with grape skins, all wines would be white wines… even wines made from the juices of the inkiest black grapes on earth. Why? 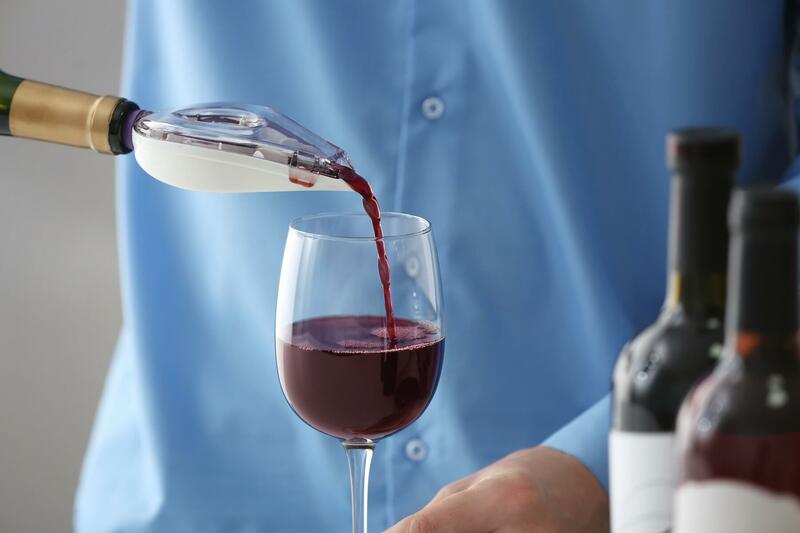 Because grape juice is pretty much always the same colour - a sort of pale yellow or greenish liquid - and winemakers looking to make red wines need to ensure the juice has plenty of contact with the skins, which contain plenty of natural pigmentation. A good way of understanding this point would be to look at white wines which have been made from red grapes. There’s been an interesting upsurge in white Merlot and white Barbera wines in recent years, which use exactly the same grape varietals as their red counterparts, but the winemaker has chosen to not use the skins in the winemaking process. Another example would involve one of the most famous wine styles in the world; Champagne. Traditional Champagne is made from a blend of white Chardonnay and red Pinot Noir and Petit Meunier grapes, yet due to a lack of skin contact, is almost invariably a white wine (even the blanc des noirs Champagnes, which don’t use any white grapes in their production). Because grape skins come in a massive array of different colours, from vivid blue to soft red, and from pink, to purple, and to black, a wide range of pigments can be used, resulting in the beautiful spectrum of wine colours we see on our local store’s shelves. Furthermore, the longer the grape juice has contact with the skins in the winery, the more intense the colour will end up being (as well as the other characteristics that grape skins provide - more on that in a moment). Ever peeled a grape and tasted the skin on its own? If you have, you’ll know that grape skins have a flavour which is often quite distinct from the juice - usually a much more bitter, earthy profile. If you haven’t, we don’t blame you. It’s not the most normal way to go about eating grapes. The fact of the matter is that a lot of a wine’s flavours and aromas end up coming from the grape skins, too. The skin contains all kinds of chemical compounds, flavonoids, aromatic molecular chains, and much more besides, which begin to express themselves in the winemaking process and during aging. 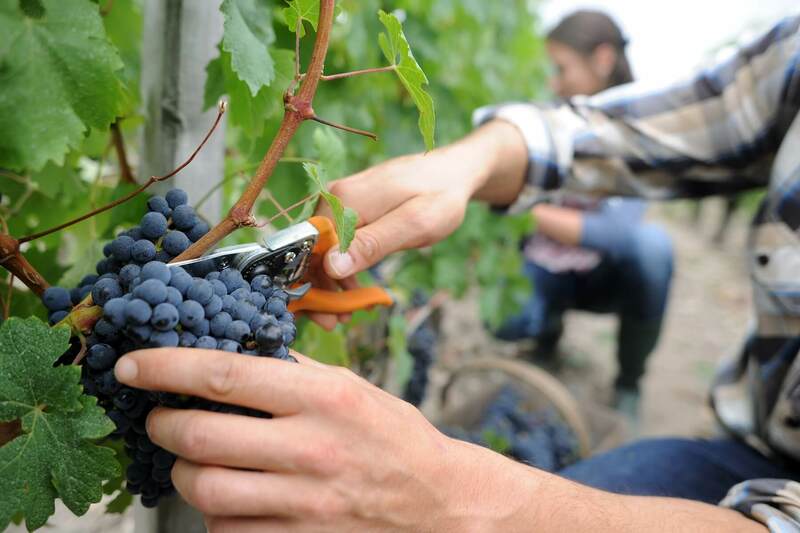 The winemaker has to decide how powerful he or she wants these characteristics to be, and as such, makes a decision on how long they want to keep the must (the crushed grape mash, which contains the skin, the seeds, and the stems) in contact with the juices. Lighter, softer, more delicate wines will typically have less time with the must, whereas more intense and fully-flavoured wines will remain in contact for much longer. It’s part of the magic of winemaking that many of those flavours and aromas trapped in the skins go on to become something very different in the fermentation and aging process. It never ceases to amaze us that simple grape juice and grape skin can end up tasting of liquorice, black cherries, chocolate, or plums… and much of that comes down to those chemicals captured in the skin of the fruit. When we talk about a wine being full, medium, or light-bodied, what we’re usually talking about is the level of tannin present in the wine. Tannins are chemicals which provide that drying, puckering, astringent sensation on the tongue and roof of the mouth, and which give wines much of their character and personality. If you’re not sure how to identify tannins, just take a bite out of an under-ripe plum, grape, or any other soft fruit… that wooly sensation and sharpness in your mouth is a result of the tannins. While some of the tannin in wines comes from the grape juice, the seeds, and the stems (again, the latter two make up the ‘must’ of crushed grapes), the vast majority comes from the skin. 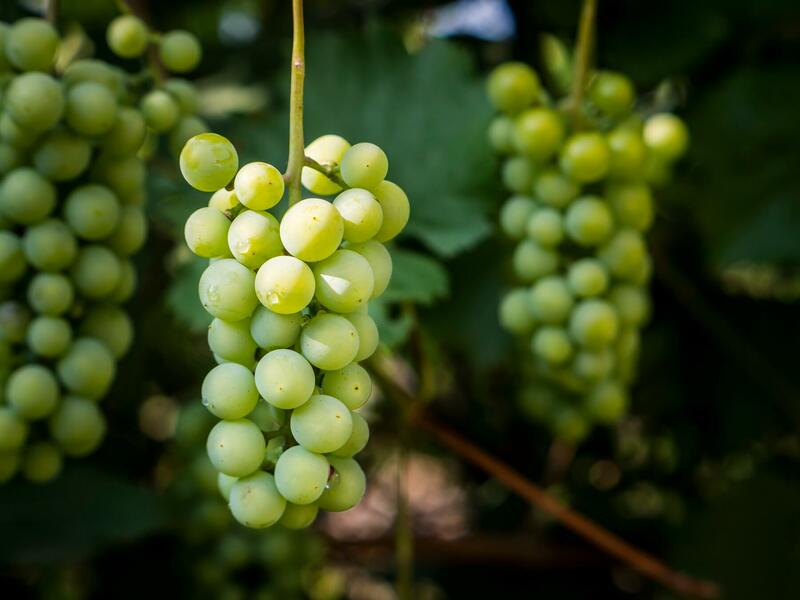 Interestingly, plants like grape vines produce tannins as a way to signal that the fruit’s seeds are not ready to the spread, and as such, the fruit is not ready to be eaten. 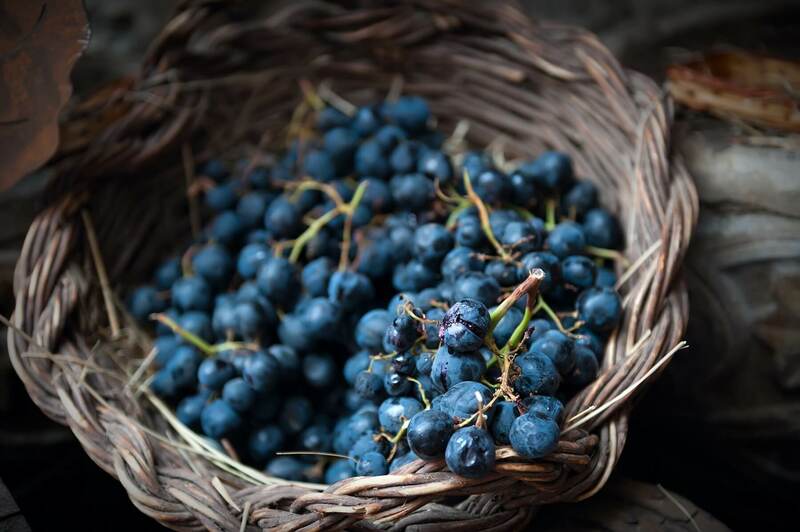 Grapes are usually harvested before they’ve reached full natural ripeness in order to capture their acidity and tannic qualities, and again, the amount of contact with the skin dictates how much of that tannin ends up being in the wine. What Else is in the Skin? Some grape varietals have skins which naturally attract wild yeasts as they grow. You can usually spot these types of grape pretty easily - they tend to have a milky coating or frosted appearance (known in the trade as a ‘bloom’) - and they bring wild yeasts and other enzymes into the mix. While it’s quite difficult to determine whether or not these yeasts and enzymes make much of a difference to the taste, aroma, or character of a wine, they’re prized in certain regions, including the world-famous Barolo region of Italy, and are a key part of their winemaking culture. So, there you have it - grape skins are far from being a throwaway waste product. In fact, they’re more often than not a deciding factor in the quality, flavour, and character of a wine, and something we can all give plenty of thanks for. Cheers to skins! Take our fun palate profile quiz here and we’ll recommend three bottles that we think you'll love according to your results!